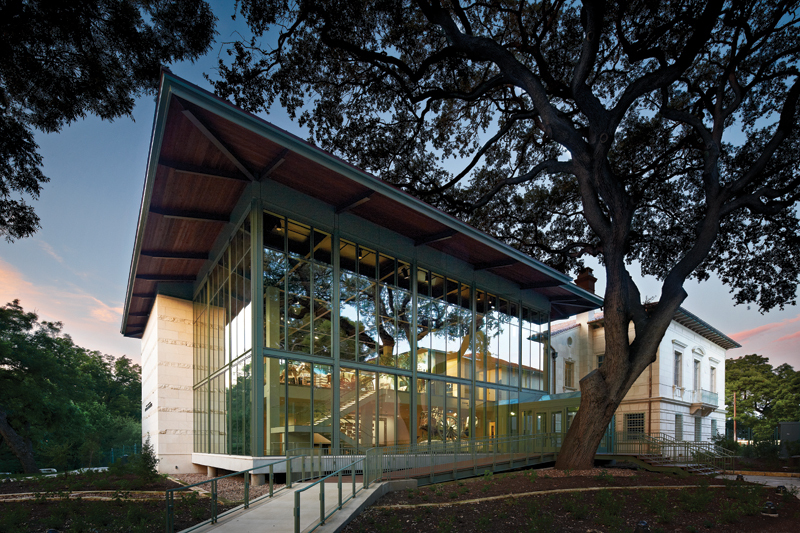 Since 1926, the Witte Museum has sat on the east bank of the San Antonio River at the edge of Brackenridge Park. 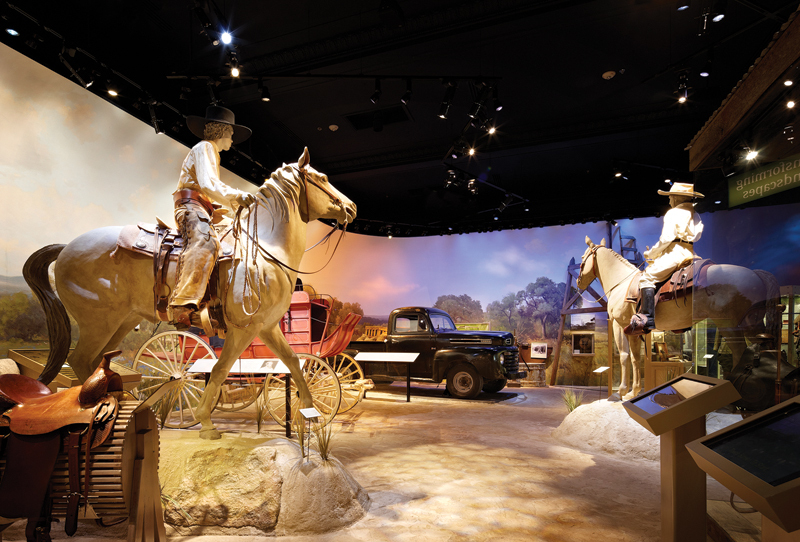 In the 90 years that followed, the museum amassed an expansive collection of artifacts related to natural history, science, and Texas history. It also acquired an eclectic collection of buildings. In addition to the museum’s much-altered main building, the Witte campus includes a number of relocated historic structures, as well as Pioneer Hall, a Mediterranean Revival-style limestone structure originally built as a somewhat belated part of the Texas Centennial Celebration in 1938. The Ayres and Ayres design was built as a gathering place for surviving pioneers, trail-drivers, and early Texas Rangers who were still alive in the 1930s. The simple, rectangular-shaped building had three clubrooms on the first floor and a large ballroom on the second. A small lean-to on the building’s backside housed support spaces and stairs. Pioneer Hall served its original function until eventually there were no surviving pioneers left to gather there. Although it was initially operated as a separate institution, it merged with the Witte in the early 2000s. When a master plan for the Witte campus was being studied, it became clear that changes would need to be made to Pioneer Hall in order for the campus to function as a cohesive whole. In 2009, Ford, Powell & Carson was hired to assess and restore the interior of the existing 11,600-sf structure so that it could display artifacts from the Witte’s collection pertaining to the history of South Texas. The clubrooms and ballroom were easily converted into gallery spaces. Historic details and finishes — including concrete ceilings that were painted to look like wood — were restored, and upgraded mechanical systems were sensitively inserted into the 1938 building. The lean-to was repurposed to act as a transition to a new, more open gallery space. New openings were cut into the lean-to’s mostly blank rear facade to connect to the addition. Clad in a combination of steel-framed curtain walls and banded limestone, the modern, 7,000-sf addition acts as the new public entrance for the restored and expanded facility. Visitors to the Witte now enter the rebranded South Texas Heritage Center through an expansive 30-ft atrium that also acts as a new venue for receptions and events. Its large expanses of glass provide views of the river and the Witte’s landscaped riverside campus. 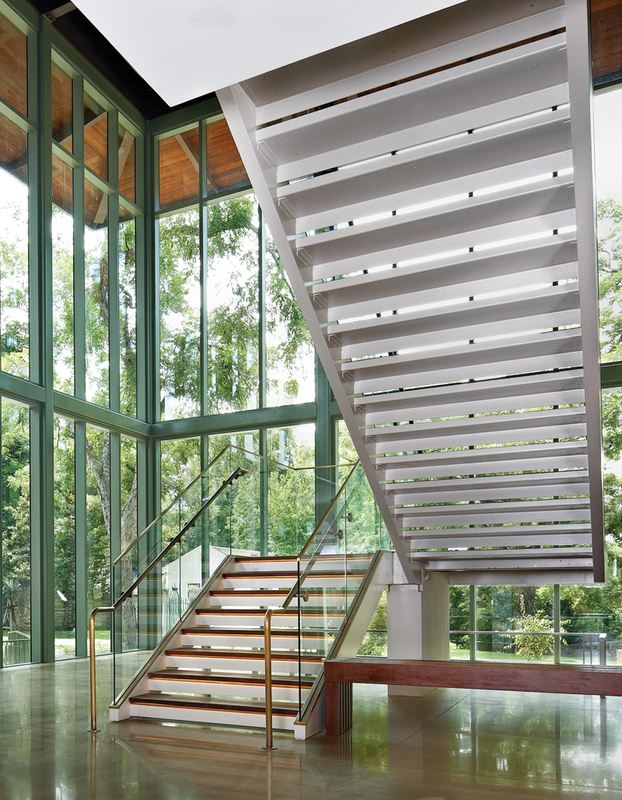 A mezzanine acts as a gallery that recreates what San Antonio’s Main Plaza was like in the 1850s. 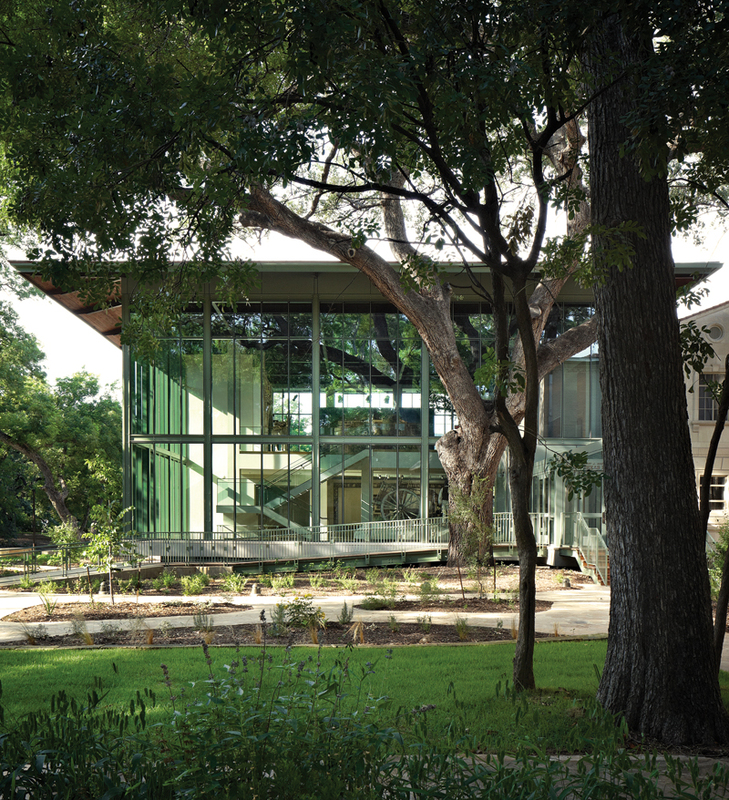 In addition to its function as a repository for historic artifacts, the South Texas Heritage Center was also designed to accommodate the incremental implementation of the Witte master plan. Earlier this year, its atrium was connected to the new Mays Family Center that acts as a venue for large traveling exhibits and as an event space. The South Texas Heritage Center will also eventually connect to a new Great Hall, which will act as the new public entry point for the entire Witte campus.